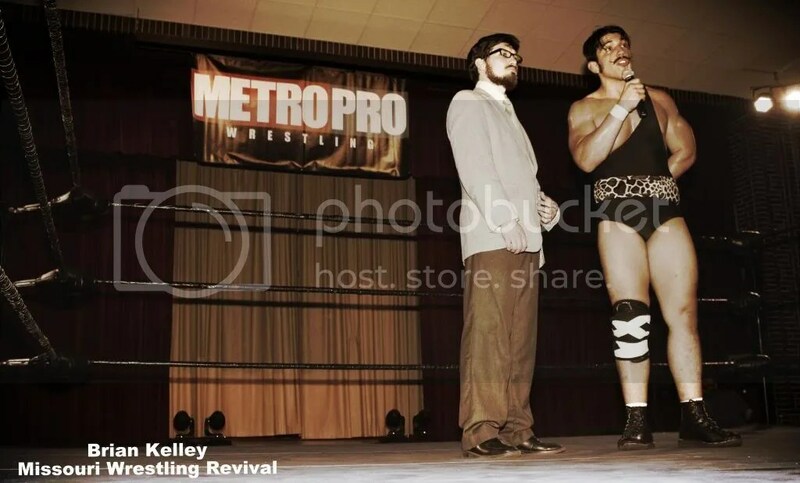 Midnight Guthrie interviews Ryan Drago at Metro Pro Wrestling as he announces that he is off to WWE Developmental. 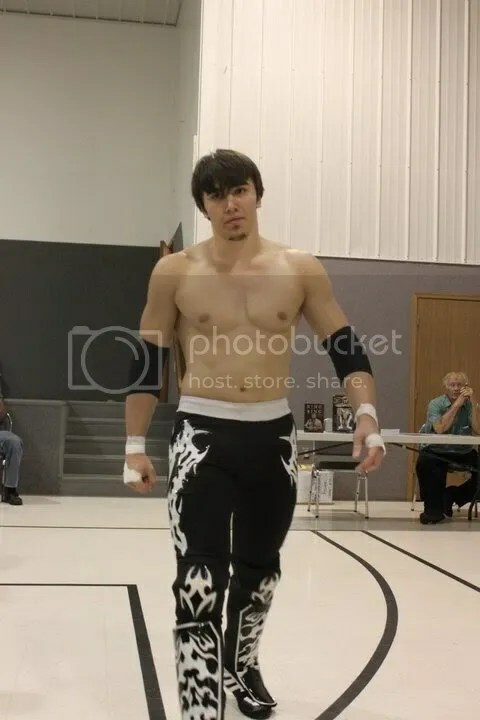 Missouri Wrestling Revival and Shooter Spotlight teams up to bring the latest WWE signee Ryan Drago. 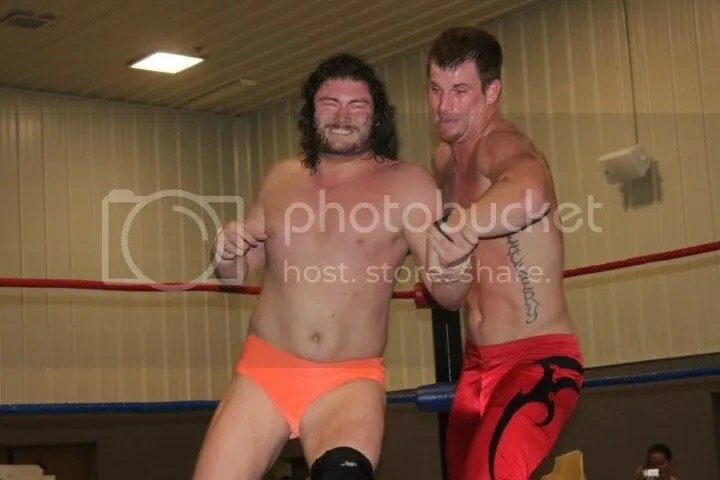 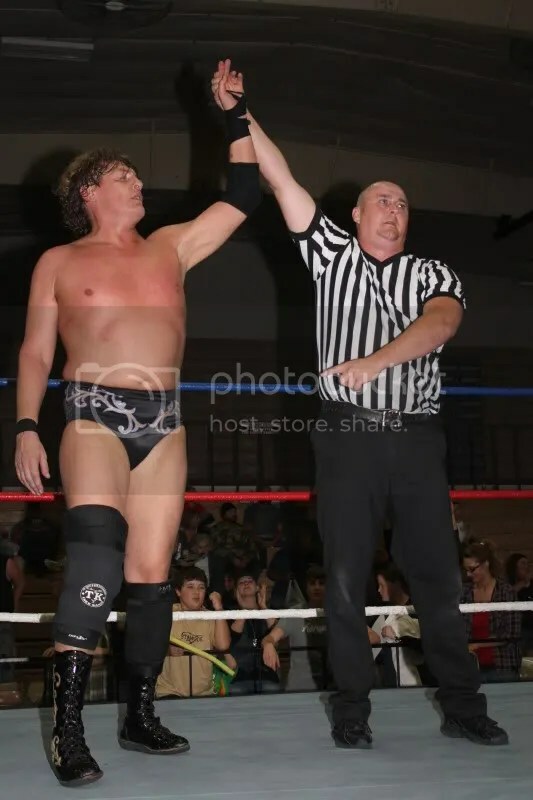 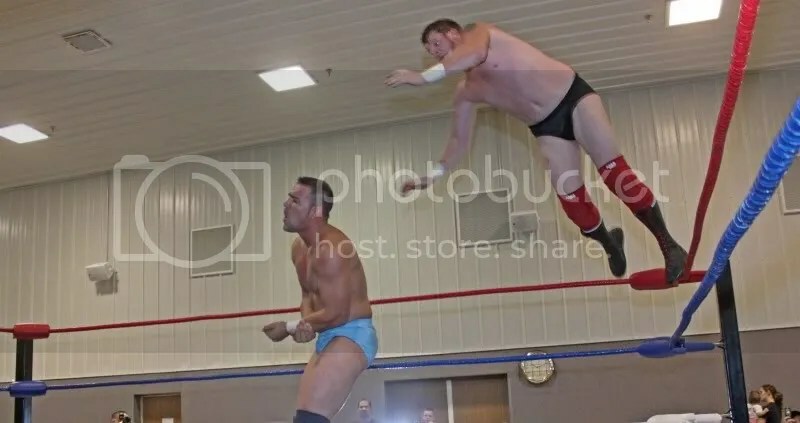 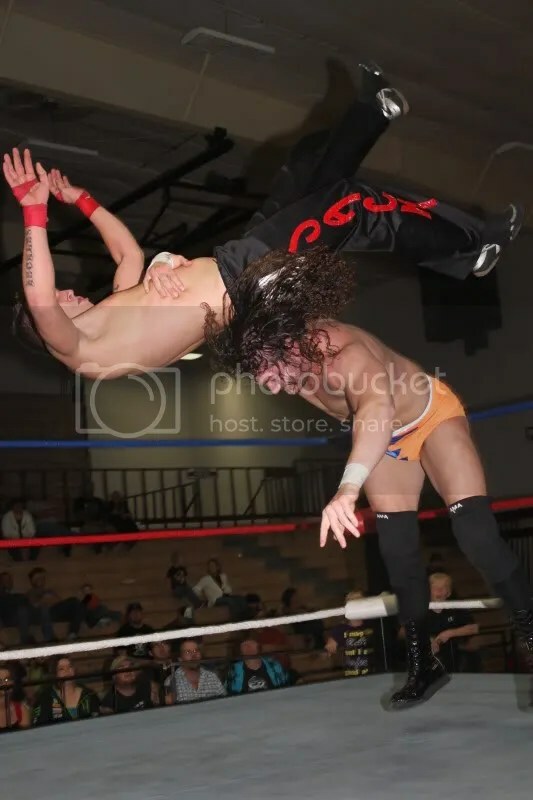 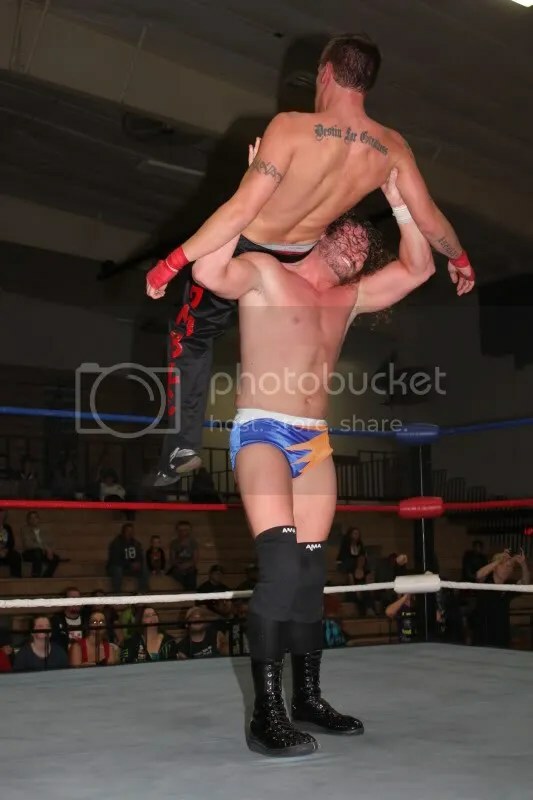 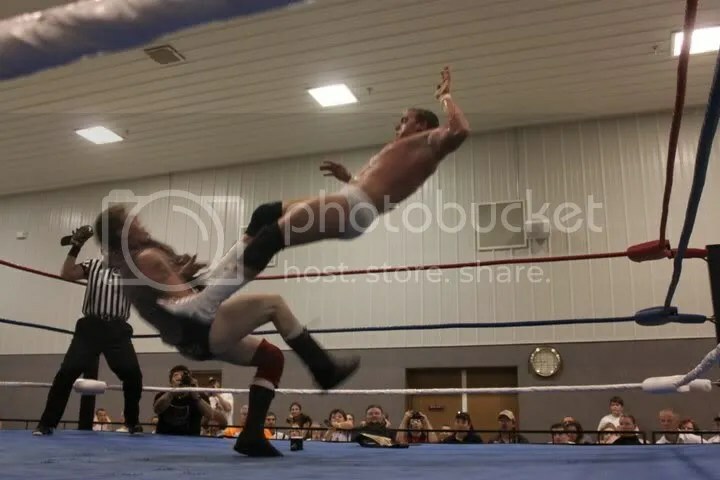 Drago has been training under the 8-time NWA World Champion Harley Race and has worked with many of the top promotions in the Midwest in the past. 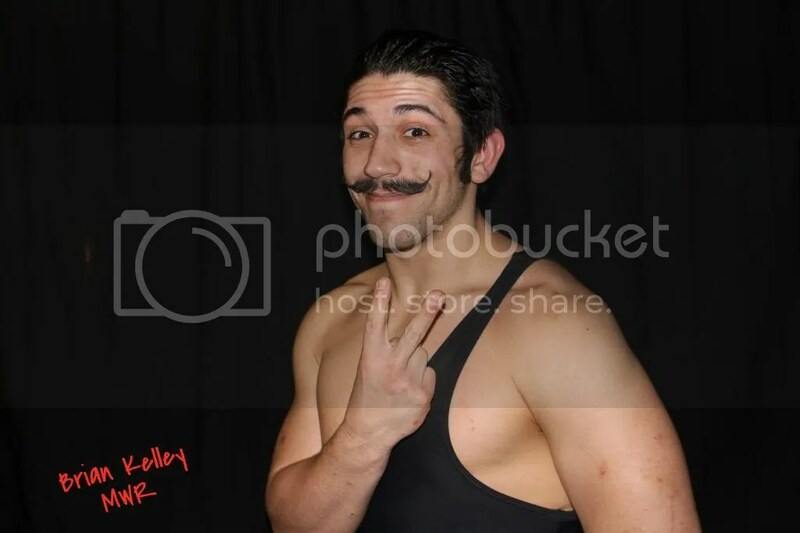 Check out this link for official Shooter Spotlight of Ryan Drago then come back to purchase the awesome new trading card of the“The Gentleman Bruiser”. 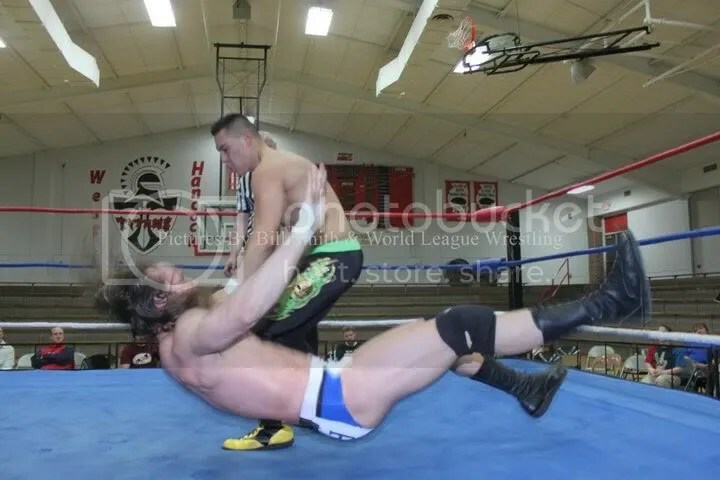 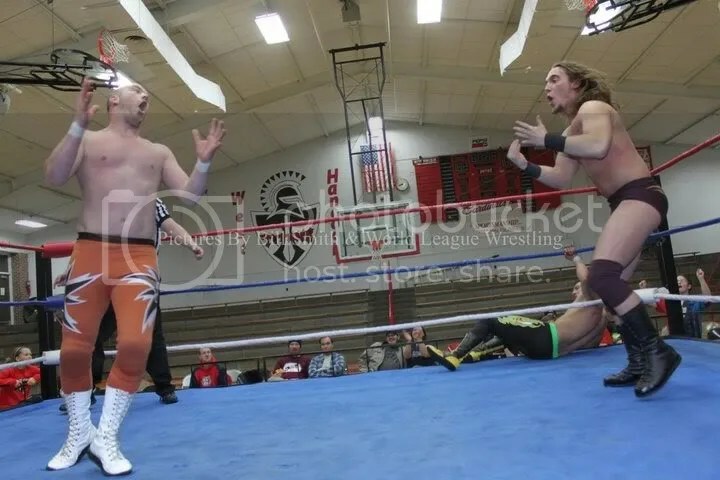 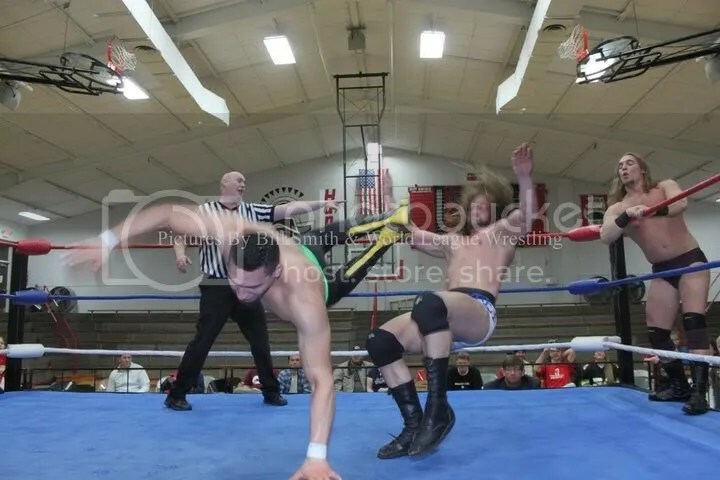 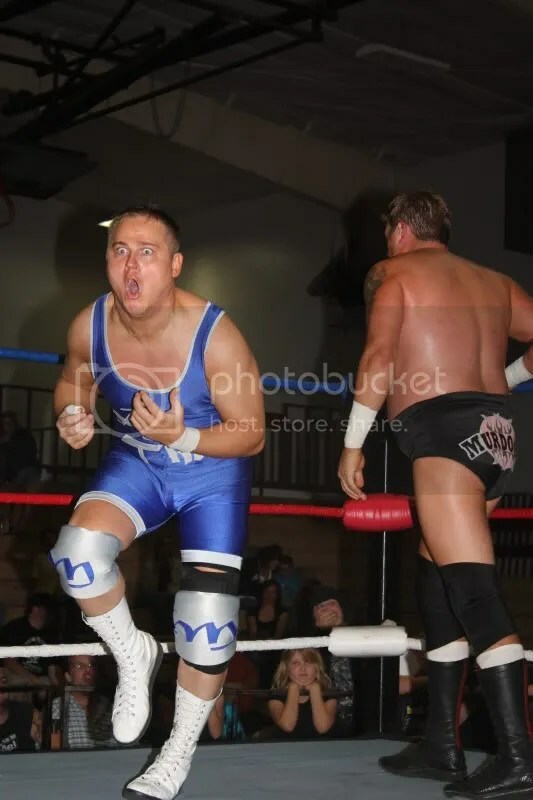 Last night at Metro Pro Wrestling ,Ryan Drago teamed up with the American Bulldogs in a tough battle against the King Brothers and the Worlds Fittest wrestler, Mark Sterling . 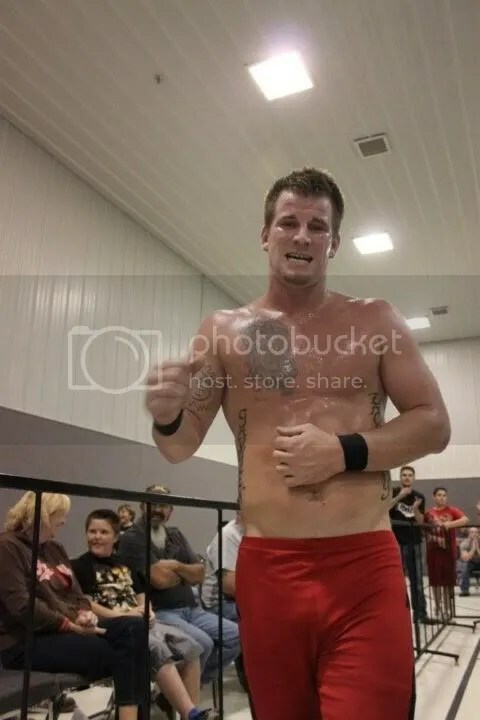 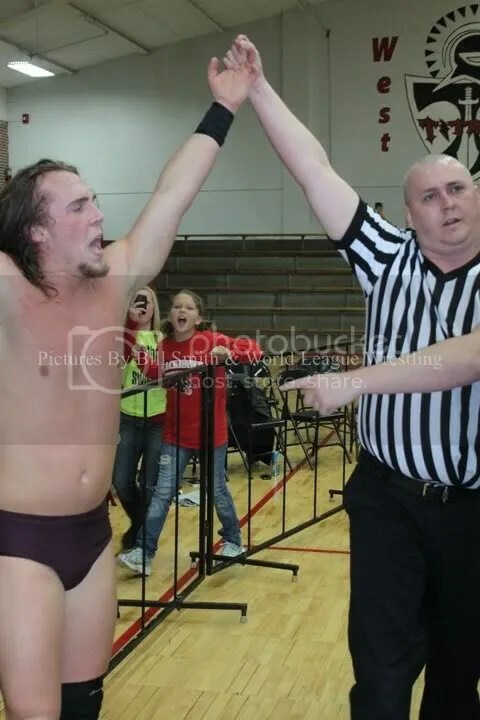 After the exciting matchup, Ryan Drago spoke to MPW interview specialist Midnight Guthrie to let the MPW fans know that he has been offered the well-deserved opportunity to head to Florida to further his career with WWE developmental. 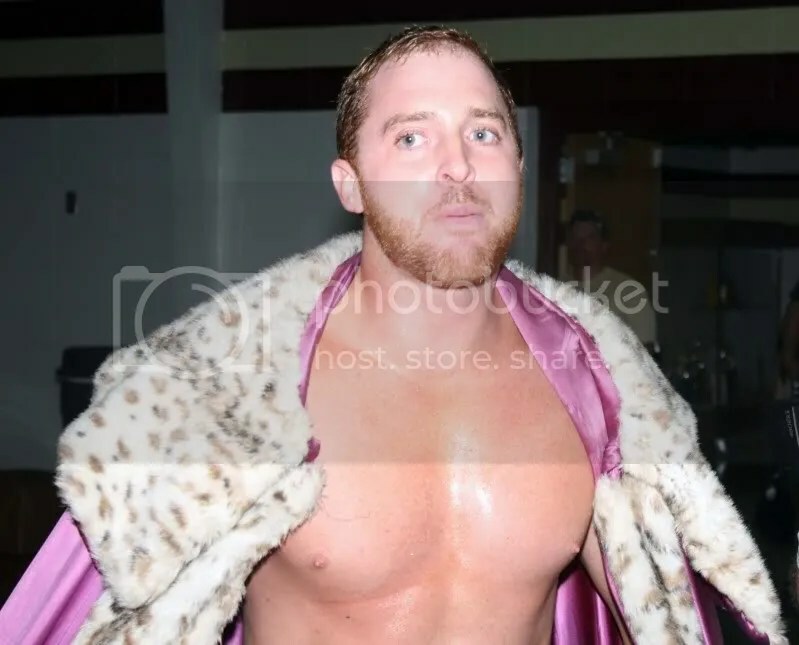 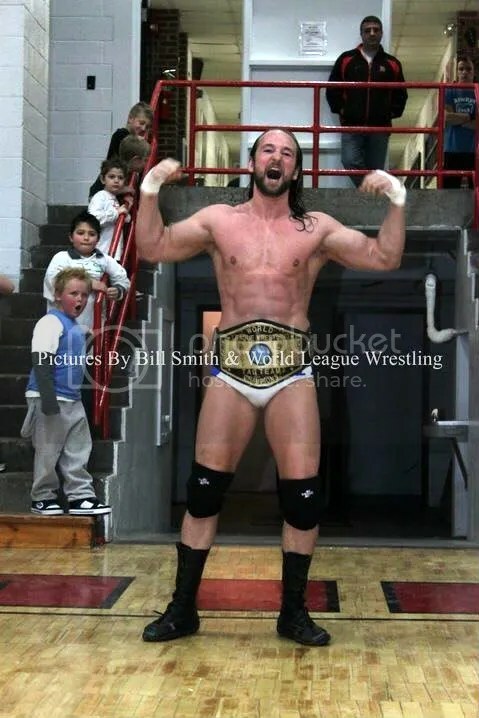 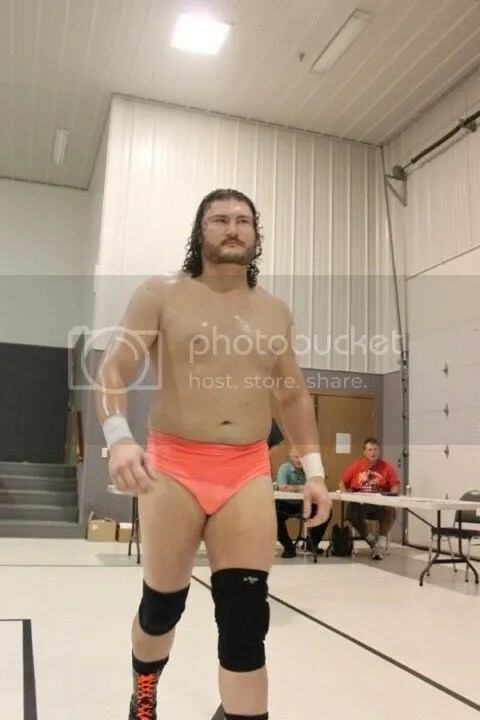 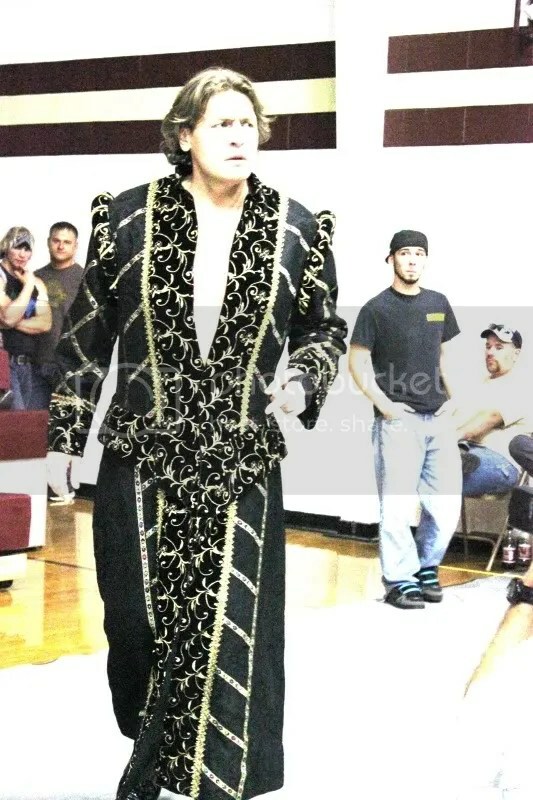 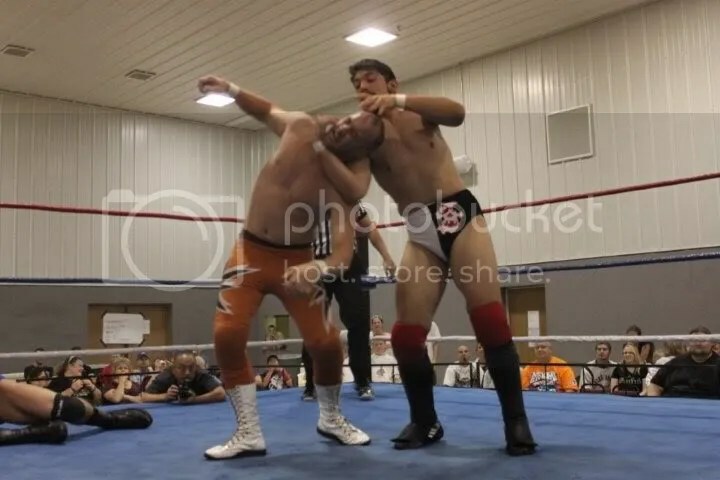 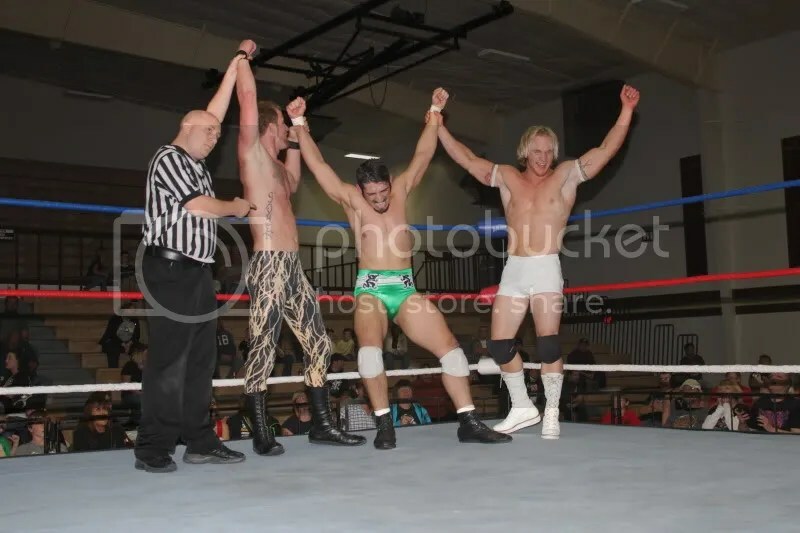 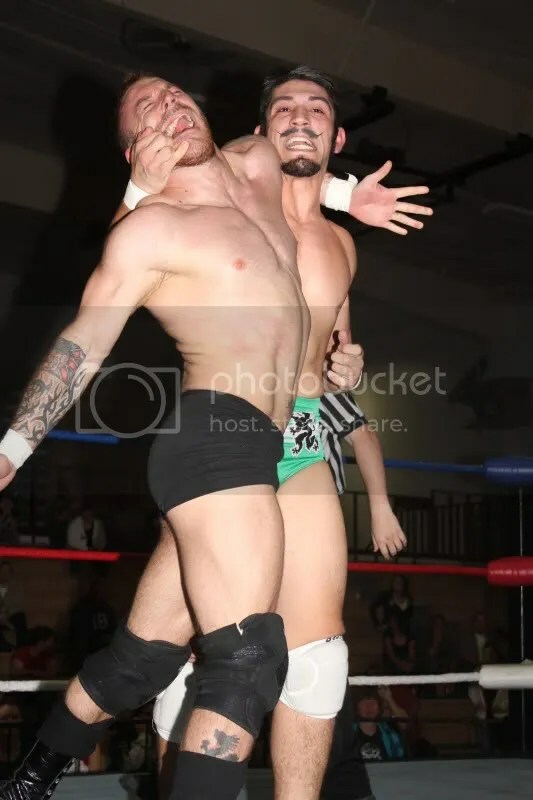 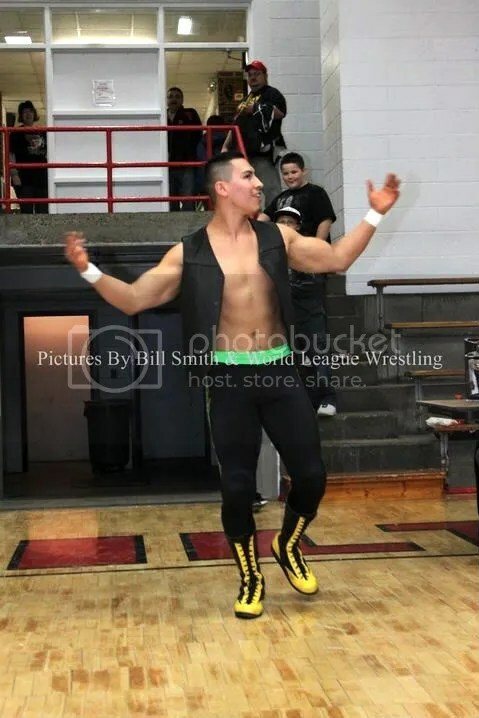 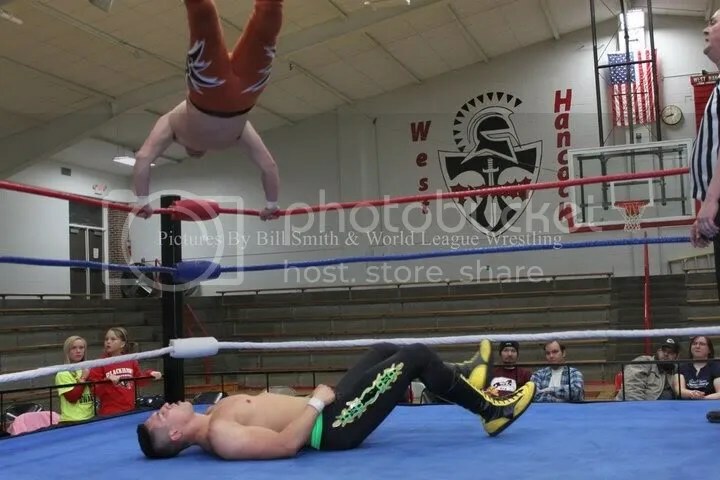 Drago has been training at Harley Race’s World League Wrestling, most recently being one half of the WLW Tag Team Champions with Elvis Aliaga while capturing the hearts of the Metro Pro Wrestling faithful. 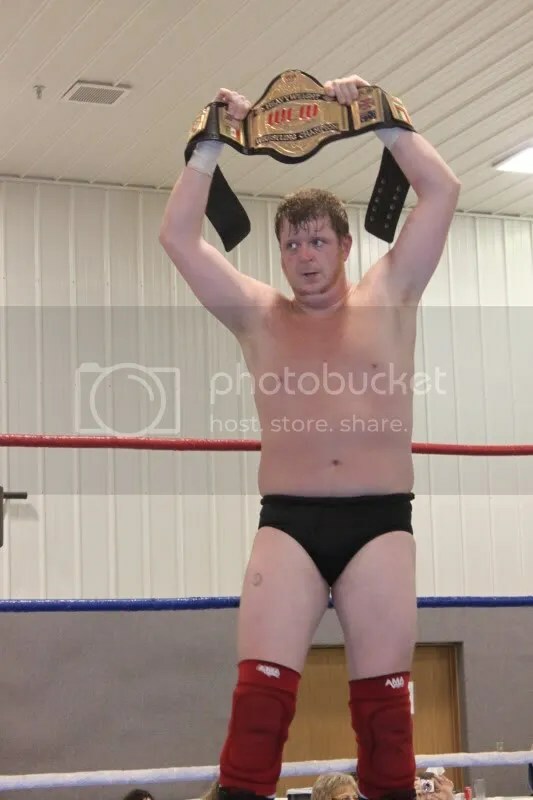 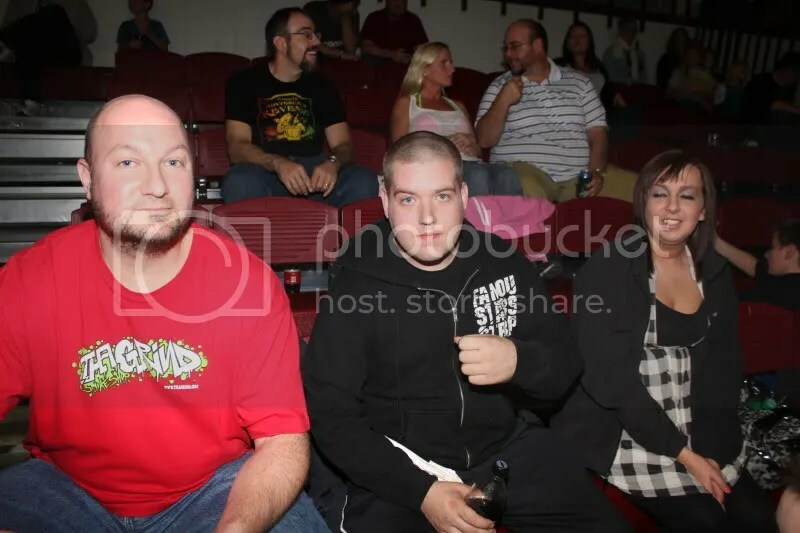 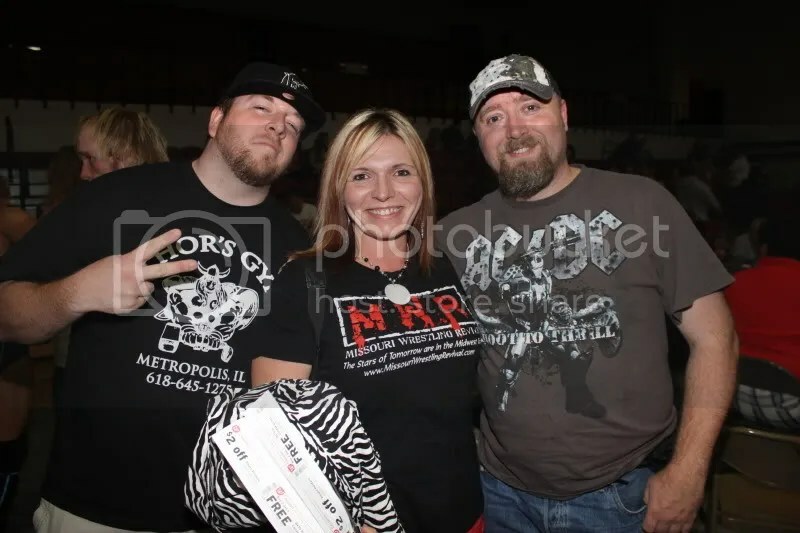 From everyone at Missouri Wrestling Revival.com we would like to wish the best to Ryan Drago as he reaches another goal in his life. 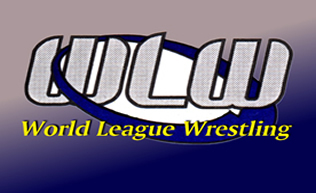 World League Wrestling continues to support Fundraisers in the Midwest. 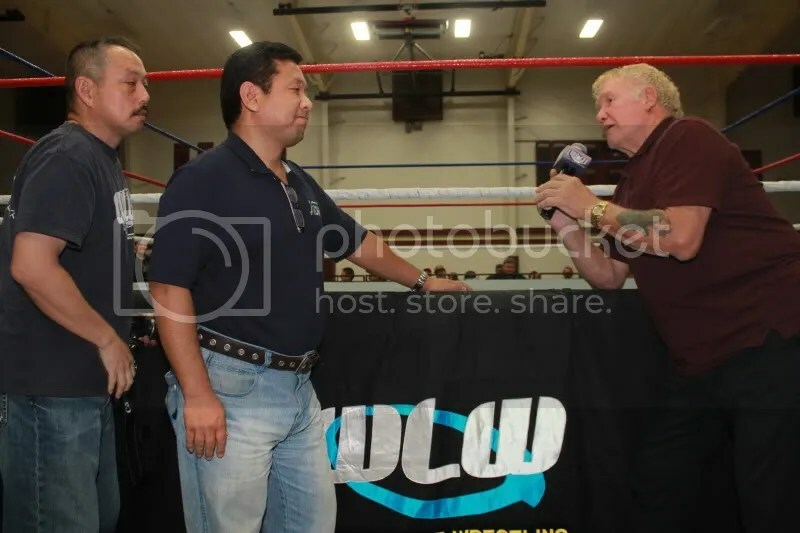 This past Friday Harley Race’s World League Wrestling was thrilled to be in Cameron, Missouri to support Camp Quality in Bethany, Missouri. 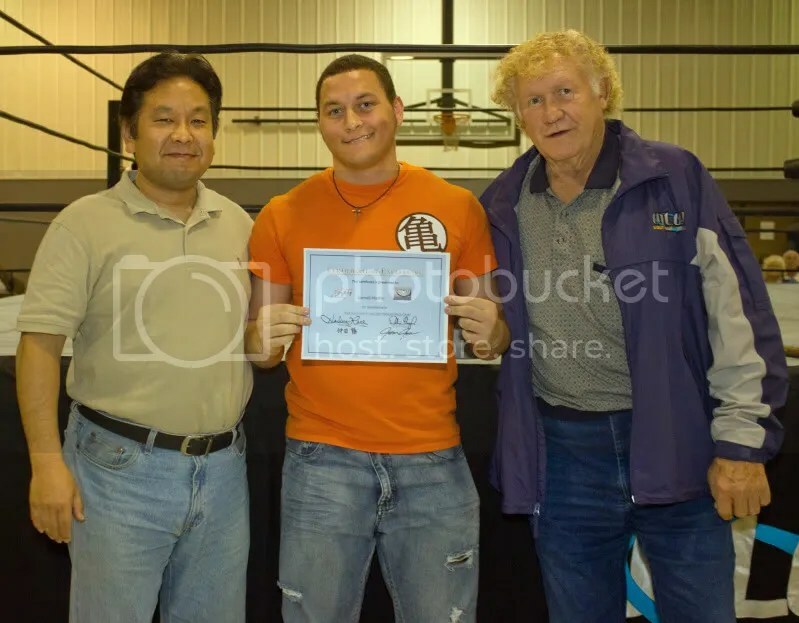 Harley Race was joined with the fellow WWE Hall of Famer Ricky Steamboat to support this great cause. 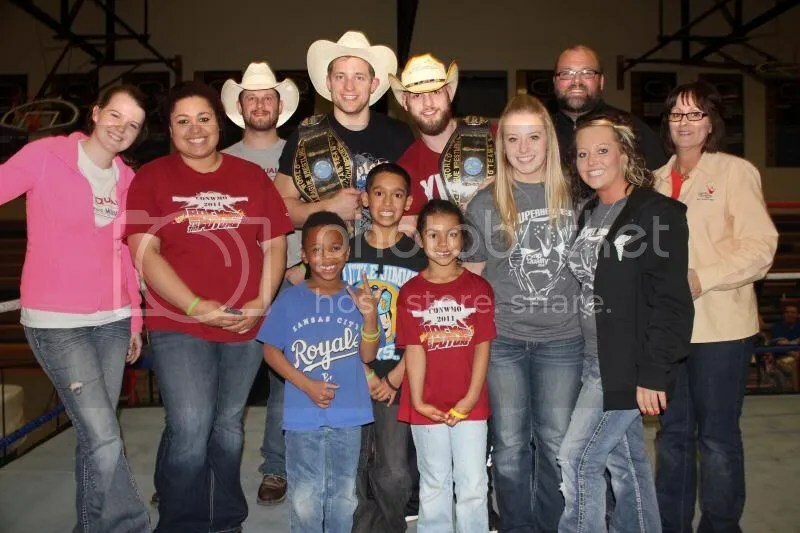 At the end of the night the current WLW Tag Team Champions Kris “The Wild Thing” Wallace and “OTT” Britton Tucker took the time to pose with the hard working men and women that help with Camp Quality and some of the kids. 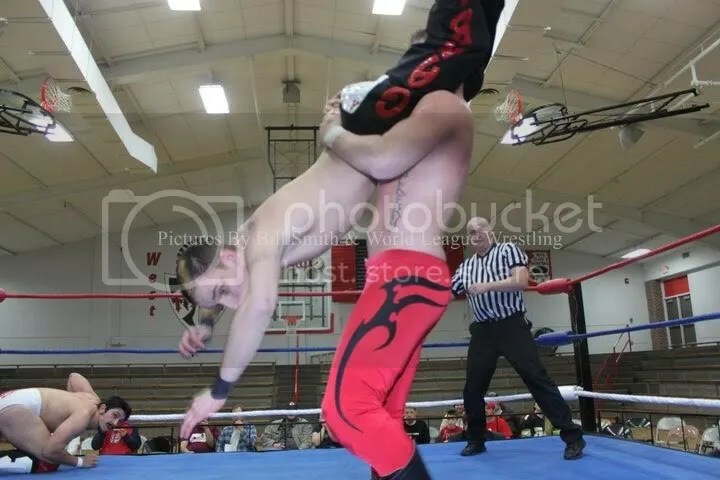 Let’s take a look at the purpose of Camp Quality, but before we do remember that WLW is a wonderful opportunity to raise money for your fundraisers. 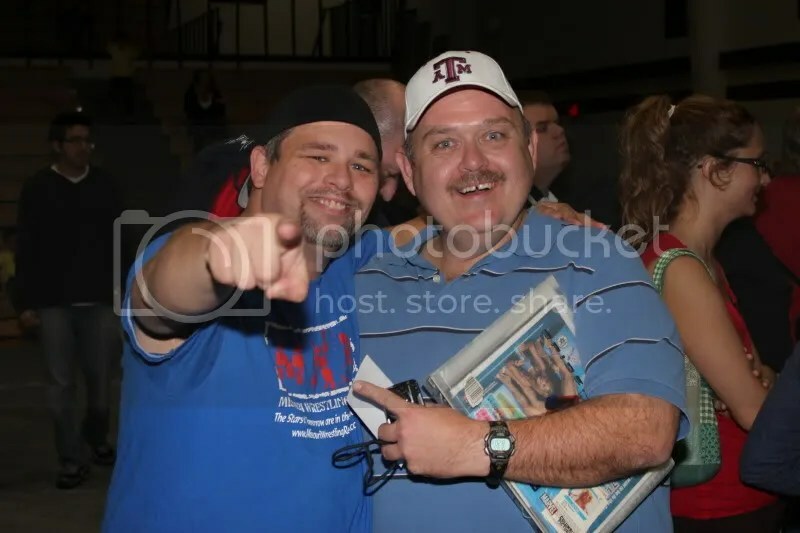 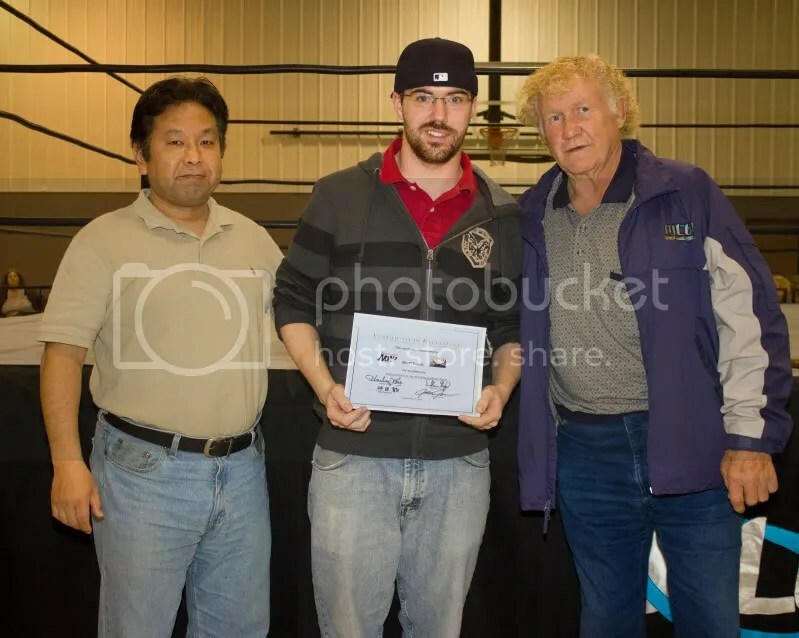 With the legend Harley Race and stars such as the WLW Champion Jason Jones, the 2-time WLW Ladies Champion Stacey O’Brien, Miss Natural, Mark Sterling, Ryan Drago, OTT Tucker, Jack Gamble Jon Web, and many more you are for sure to have a time that you will not forget. 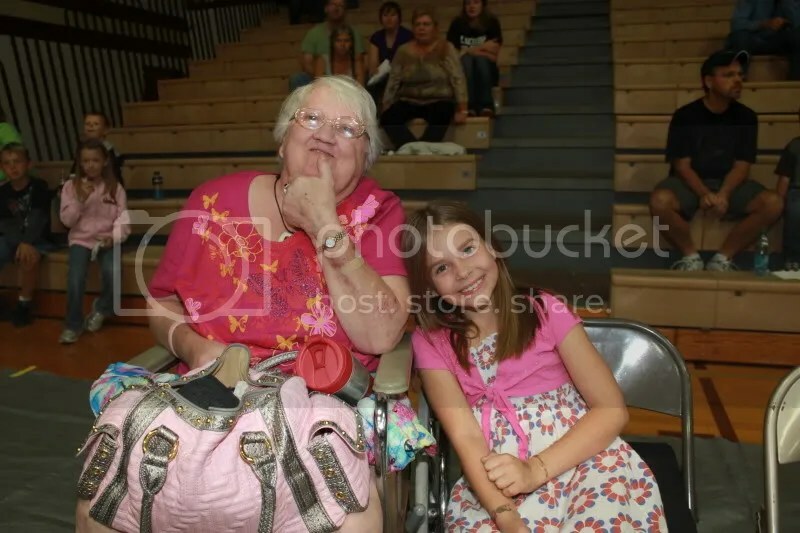 Camp Quality serves children with cancer and their families by providing year-round programs, experiences, and companionship, at no cost. 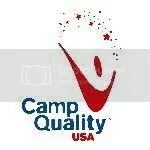 Camp Quality Northwest Missouri serves children with cancer and their families. 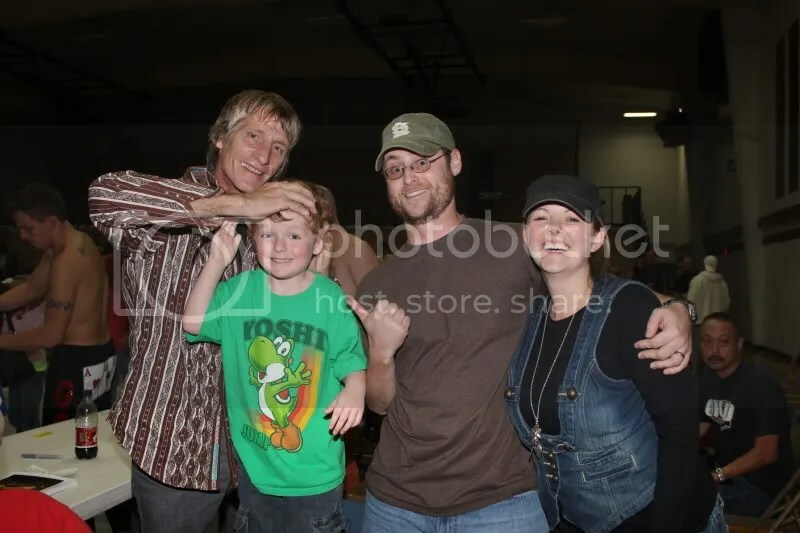 A variety of activities for children and families are offered throughout the year, and we host a week long residential camp for children during the summer. 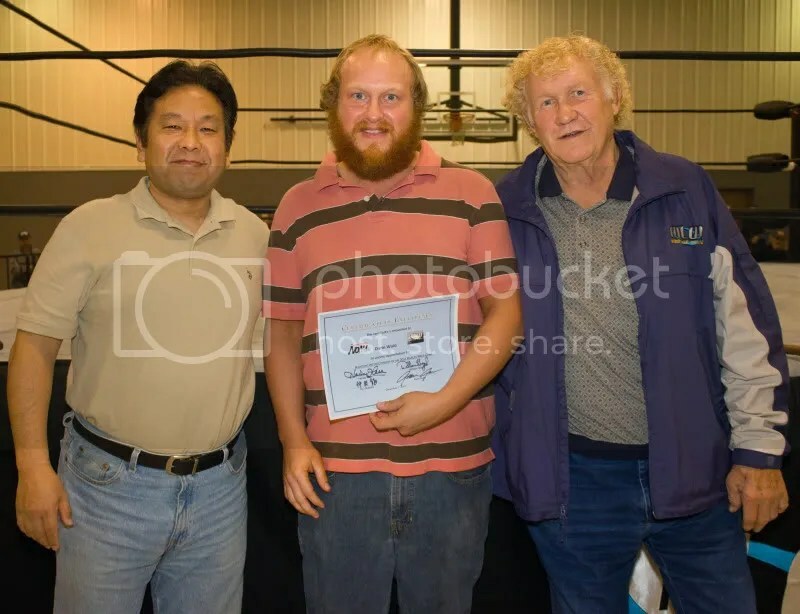 Pro Wrestling NOAH’s Takeshi MORISHIMA and Harley Race delivers wrestling knowledge at the annual WLW/WWE/ NOAH camp. 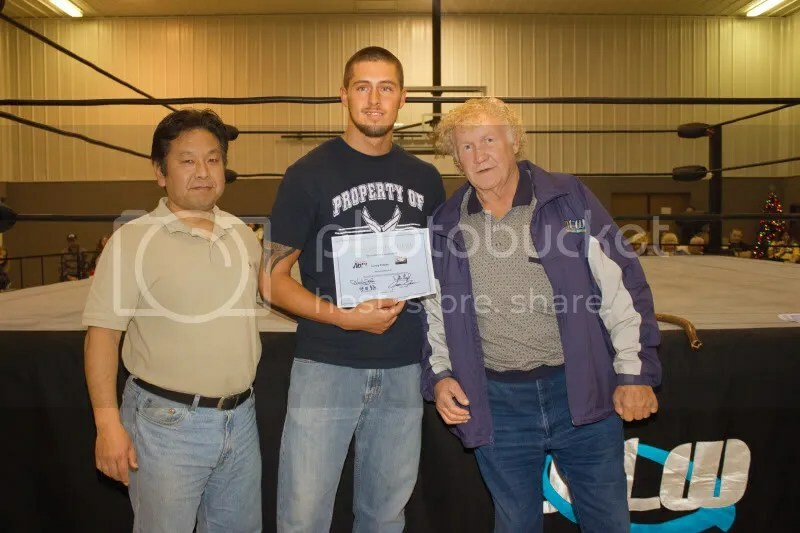 What a great honor it was to be invited once again to the annual Harley Race World League Wrestling, Pro Wrestling NOAH, WWE camp. 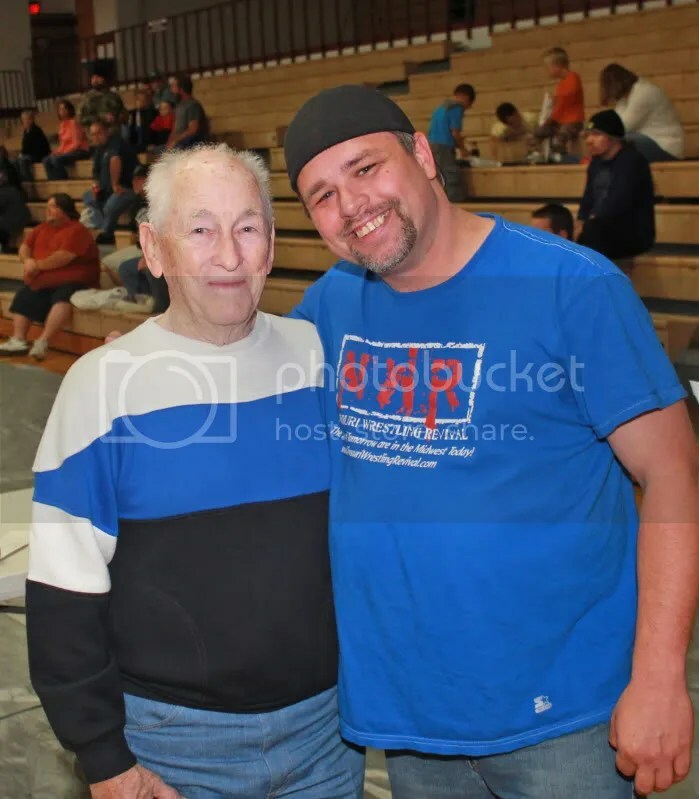 I was able to come on the third day of the week long camp in Eldon, Missouri where the students had just gathered to stretch for the high demanding training that the camp would prepare them for. 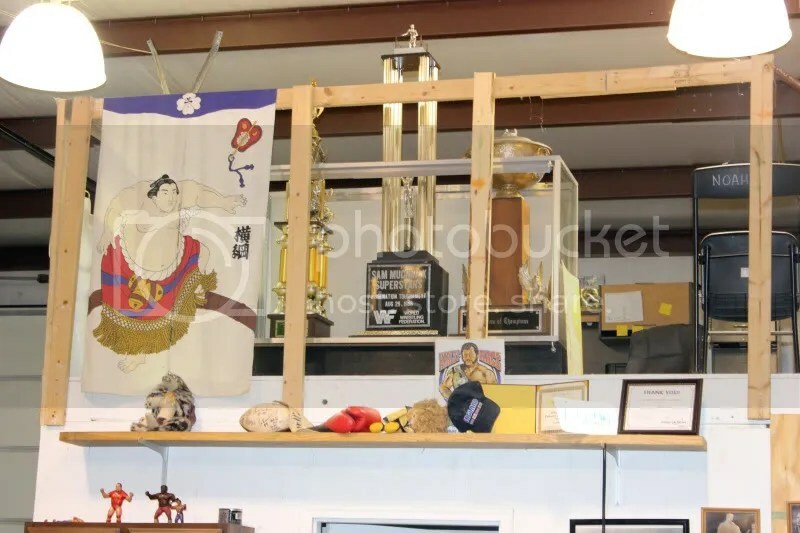 While they were busy preparing for the day I was happy to see Pro Wrestling NOAH’S Ryu NAKADA, Ken Hirayama and wrestling superstar Takeshi MORISHIMA out watching over the events , while the 8-TIME NWA Worlds Champion had just came out of his office to get to work. 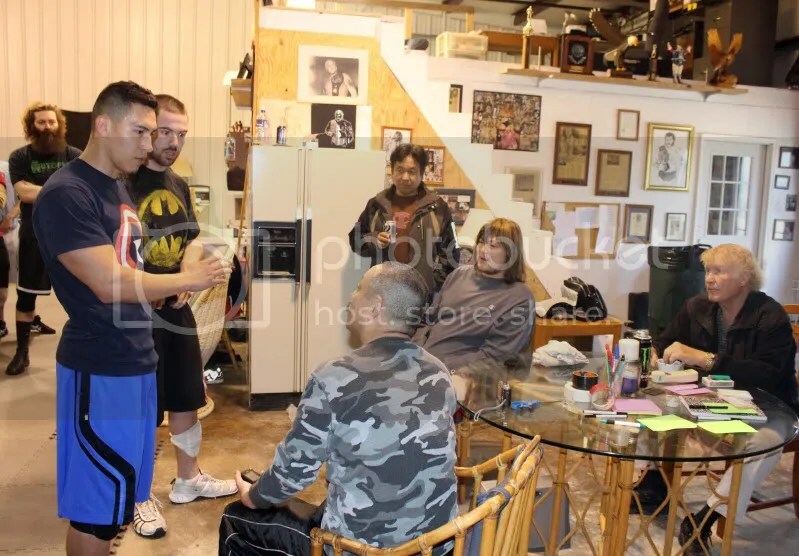 A great group of students took part in the camp, as well as the young and hungry WLW students. 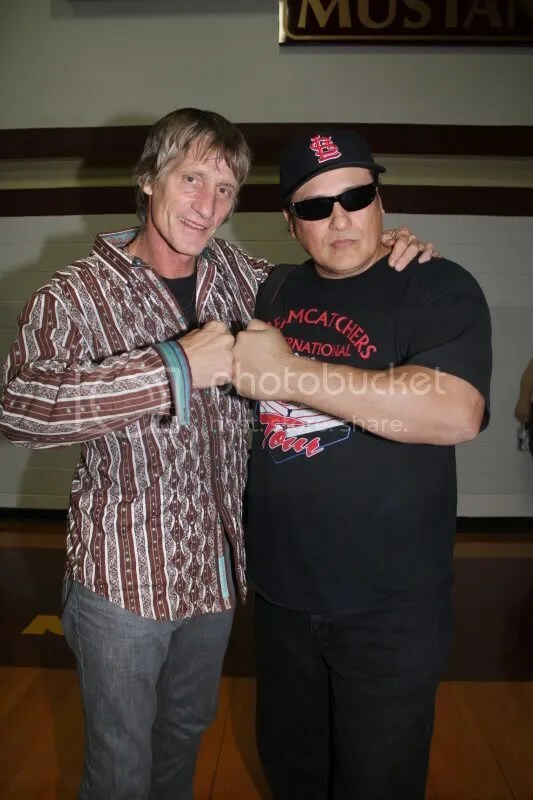 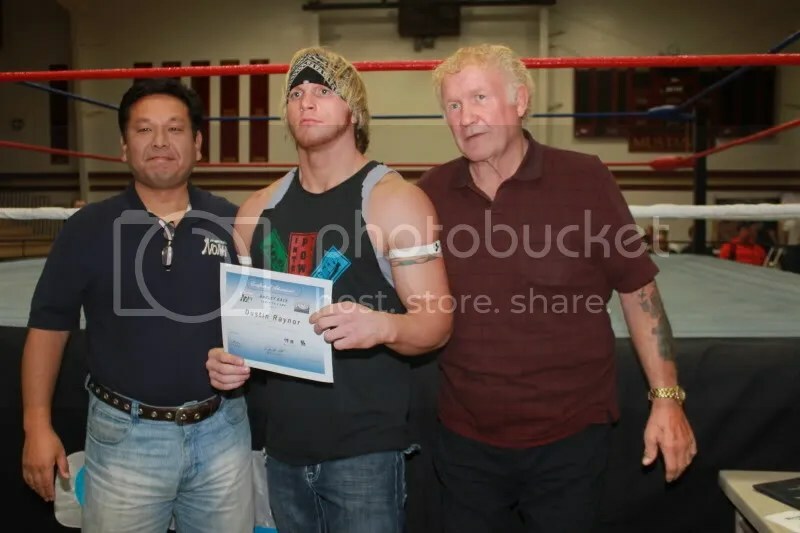 MWR fans will recognize the WLW Head Trainer Jason Jones and students Jack Gamble, Ryan Drago, Britton Tucker, Stacey O’Brien, the Cancun Kid, Chris Harris, Jon Webb and Elvis Algeria. 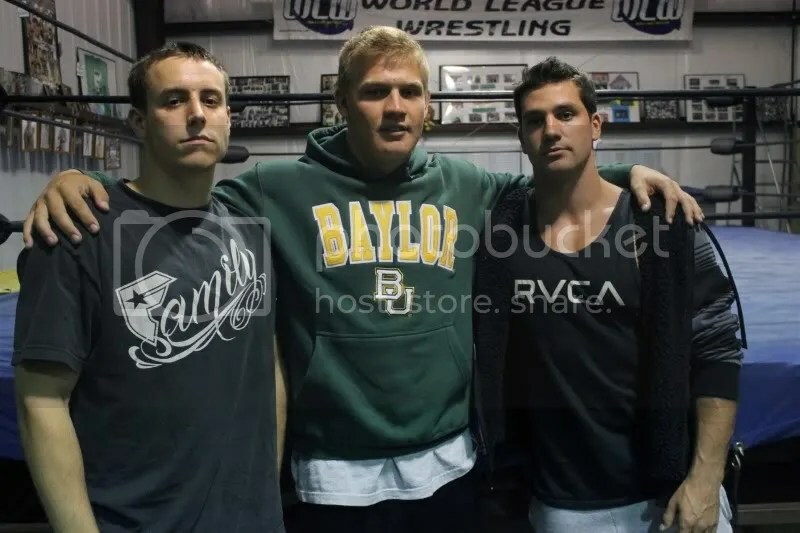 Also in the mix were MWR wrestlers Dirty Jake Dirden, Mizfitt Mannerz and Justin Reno all in the camp. 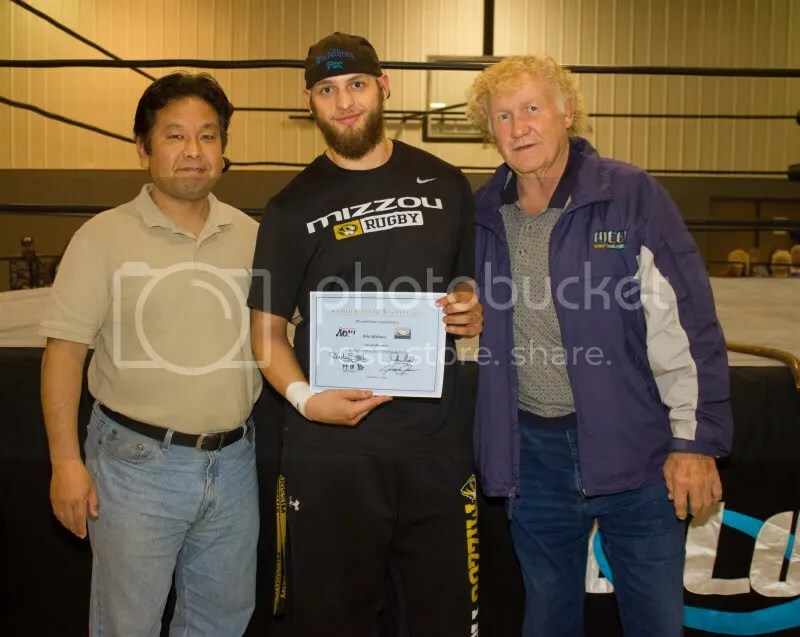 Several wrestlers traveled from all around the country and overseas to gain valuable experience that will help them for years to come. 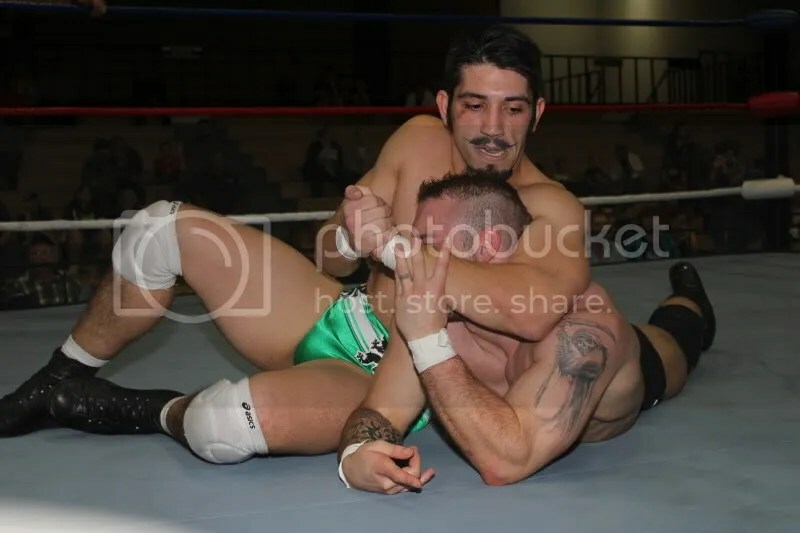 Throughout the day the students listened intently as they were shown proper techniques and in working wrestling moves to make them look more crisp and safer for the one delivering the move and the one that was taken them. 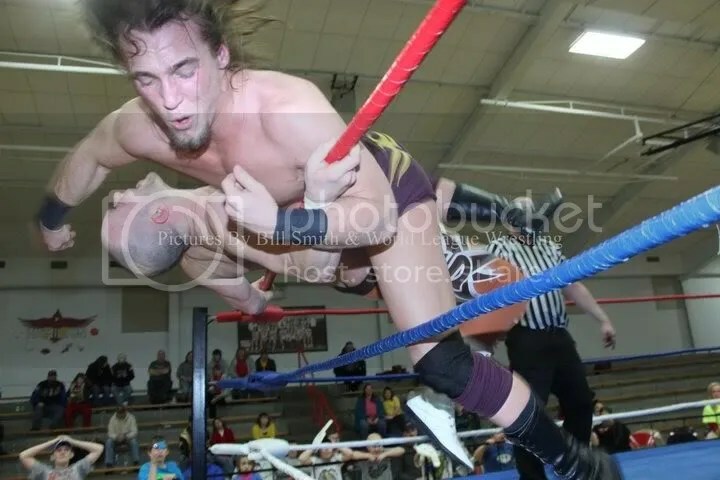 With two rings set up one for beginners and the other for the more experience, the younger wrestlers took part in how to take a proper landing and positioning. 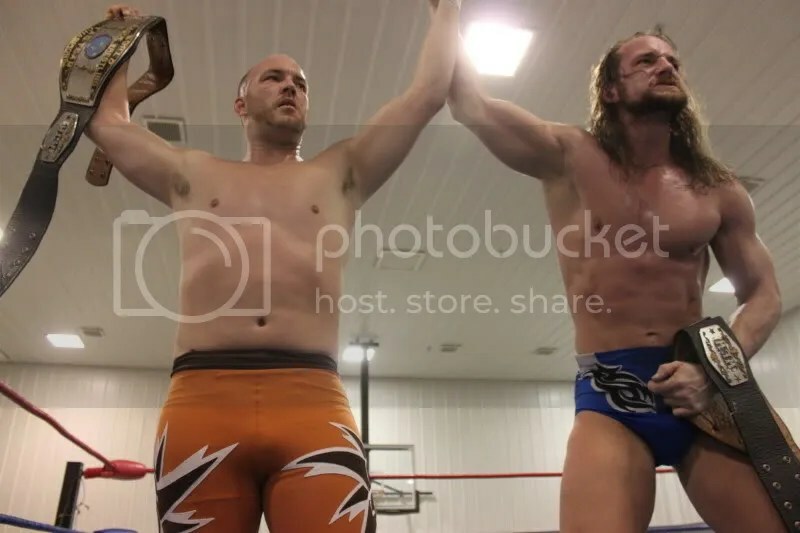 Before long the students were each chosen a partner for a tag team match or was set for singles and given time with their opponents to come up with a game plan. 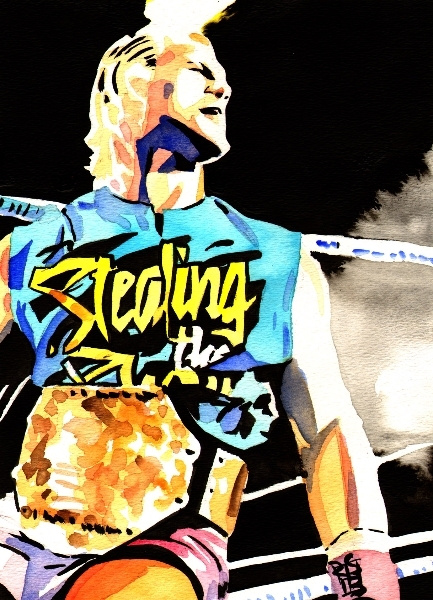 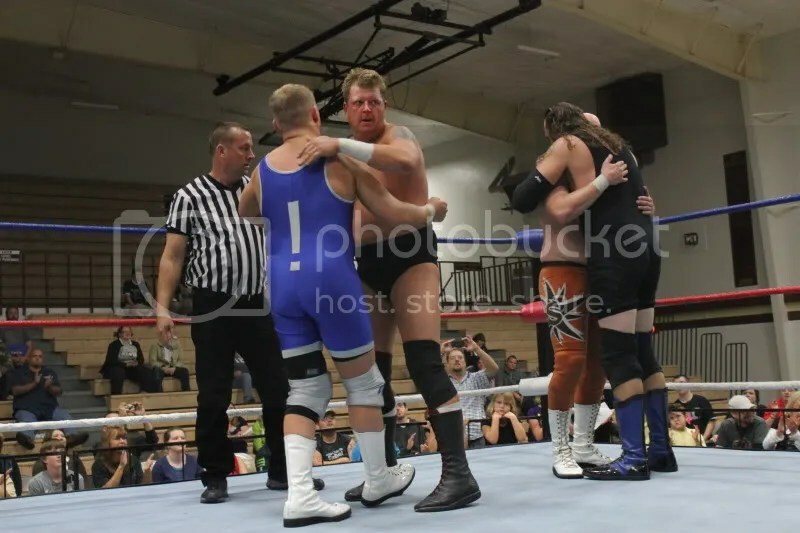 Then the fun really began as each of them wrestled their singles or tag match. 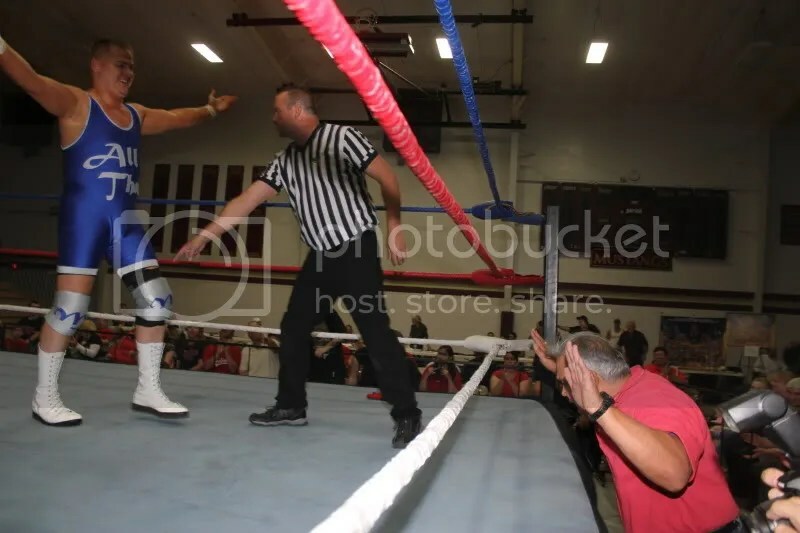 After each match the students respectfully shook hands as they headed towards Race and the Pro Wrestling NOAH instructors to receive feedback on their matches. 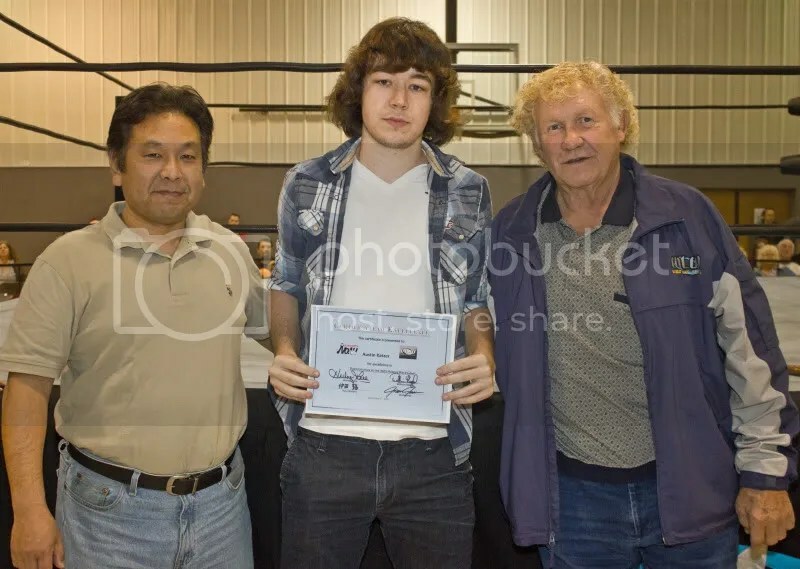 MORISHIMA who spoke little English would relay his thoughts to NOAH’s Hirayama who would then let the wrestlers know what he liked and what they could improve on, as both NAKADA and Race would also provide more insight into the two of the great minds around the world today in the sport. 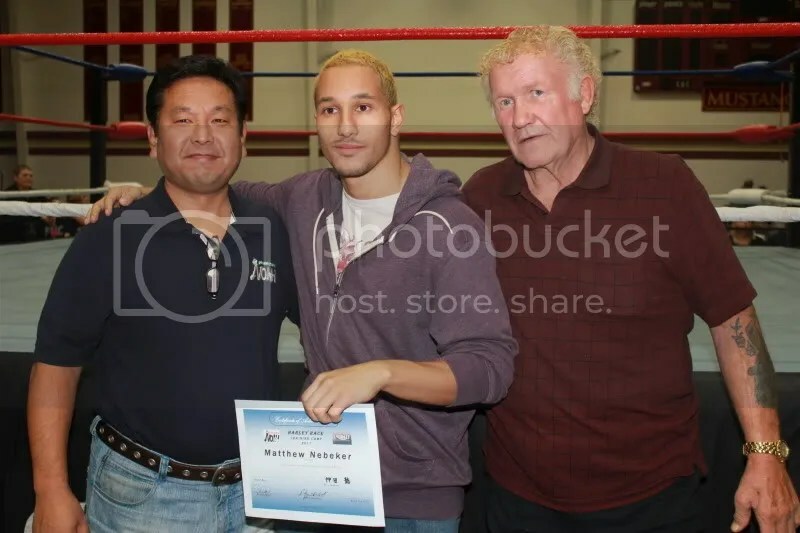 After lunch, I had came in a little bit late and the students were around the ring with MORISHIMA, NAKADA, and Hirayama speaking to them. 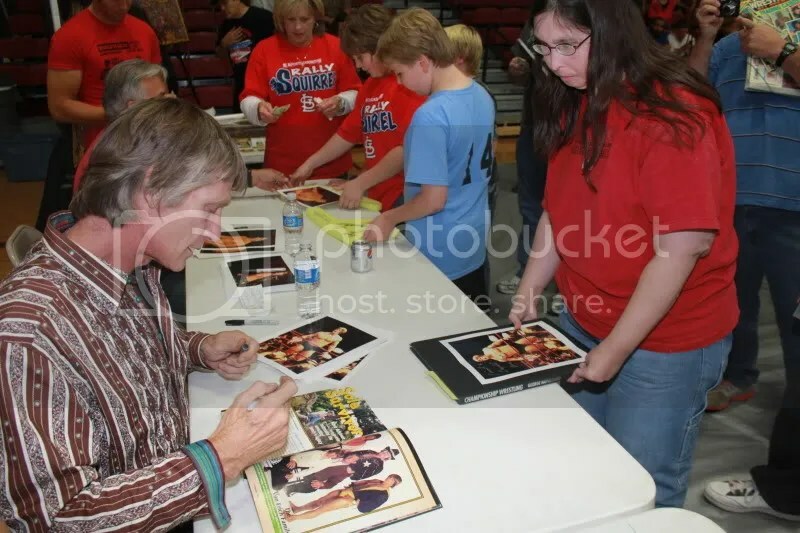 They asked the students if there were any questions or anything that they wanted to work on. 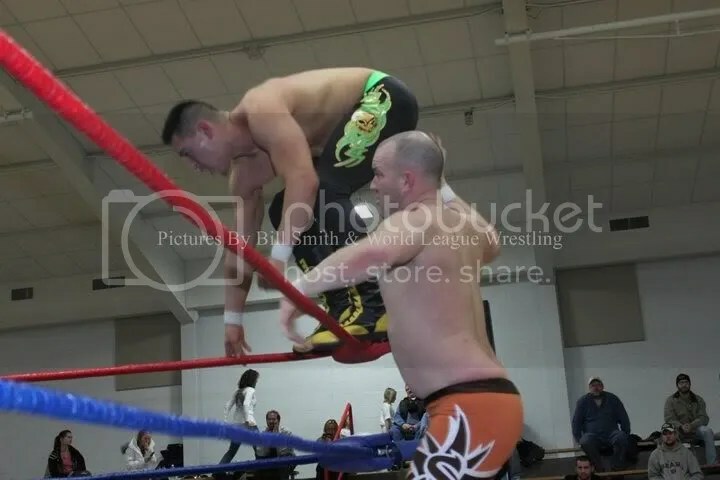 When Jake Dirden wanted to work on a move, MORISHIMA was quickly in the ring working with him on the move as Hirayama translated the important information. 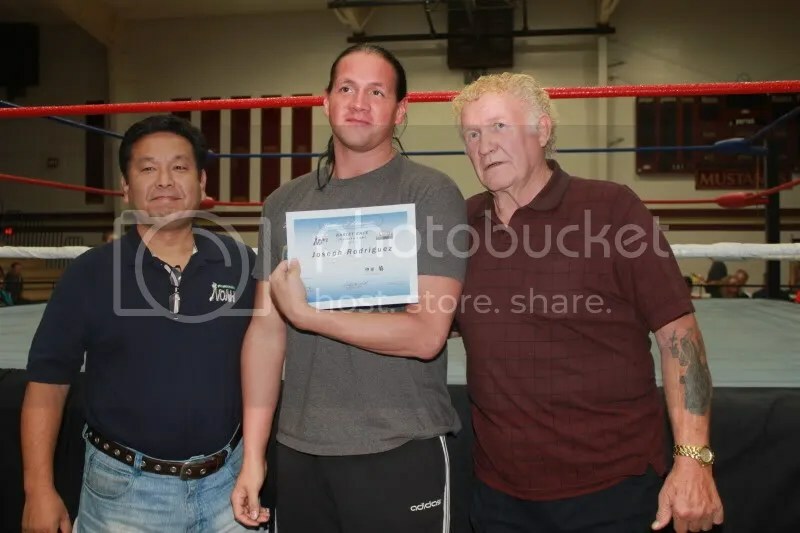 I could tell that MORISHIMA was enjoying giving his insight but was very focused and cared about what information he was giving to them. 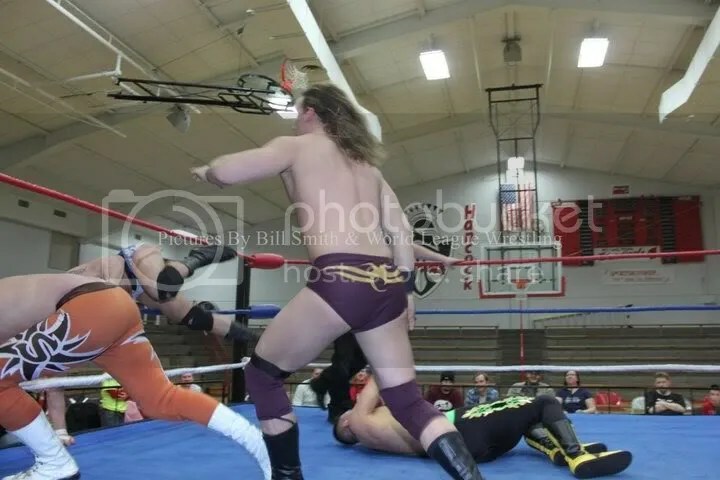 Before long many of the students had taken the turn to work on various wrestling moves and techniques with the superstar. 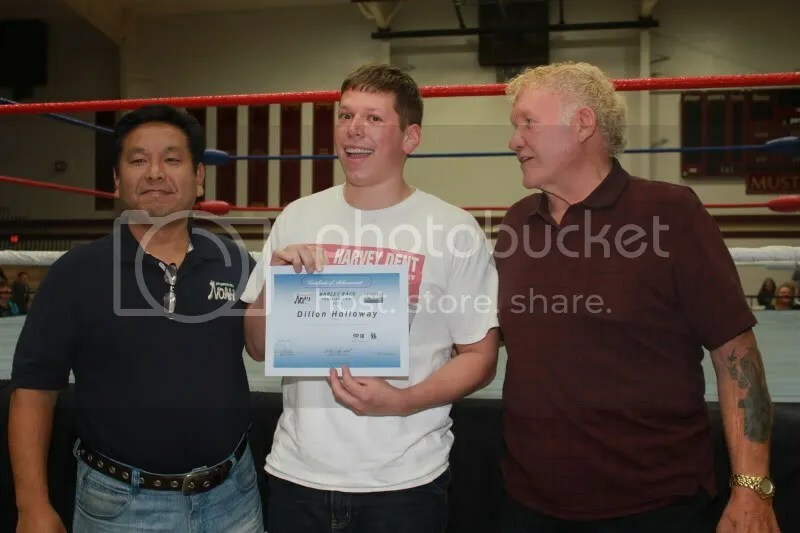 As the day was heading to over three fourths done, the students each took turns in another match for Race and the instructors to watch. 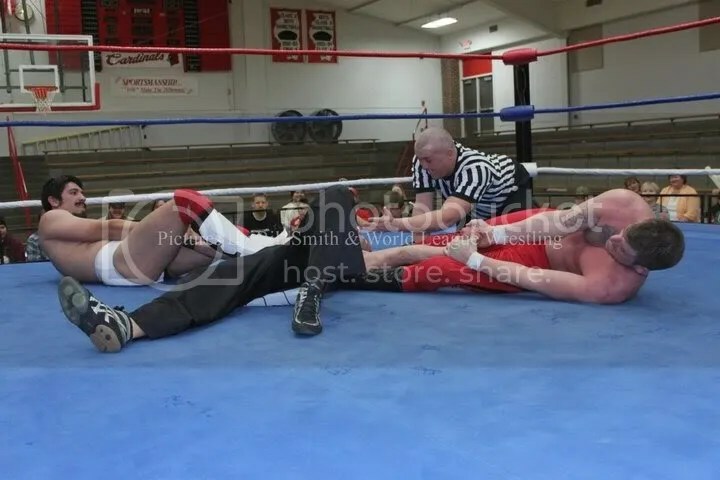 At times after the review was done for the students from all the men I would see Race pull them aside to give them even more further training. 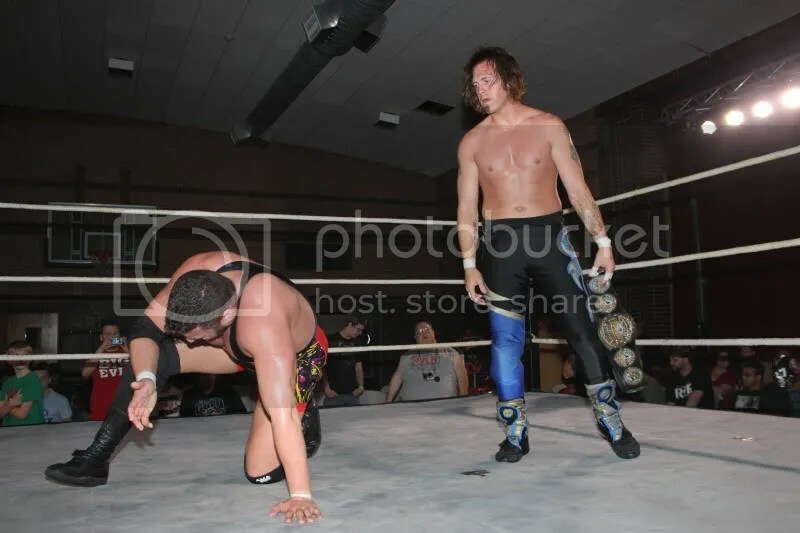 How many people can say that they had an 8-time Worlds Champion pull them aside for a one on one? 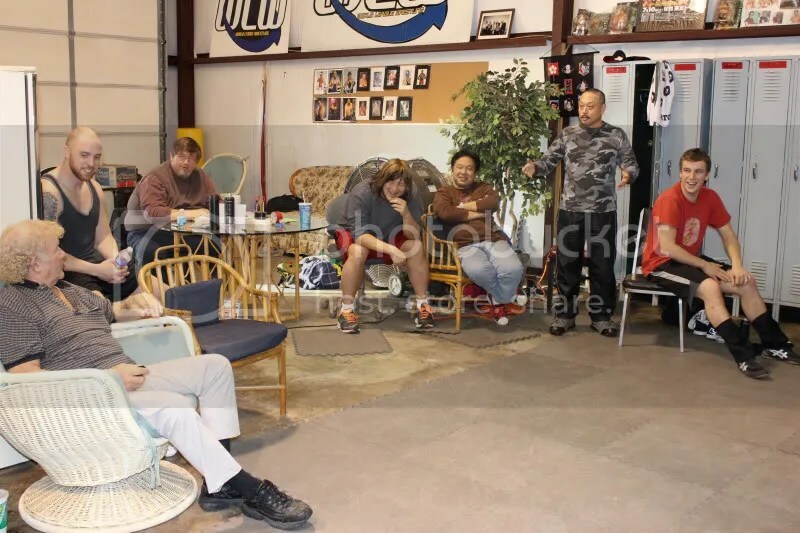 I was told that the camp would be done at four but neither Race nor the NOAH family were in any hurry to call it a day as time would slip by and it was 5:30 before I knew it. 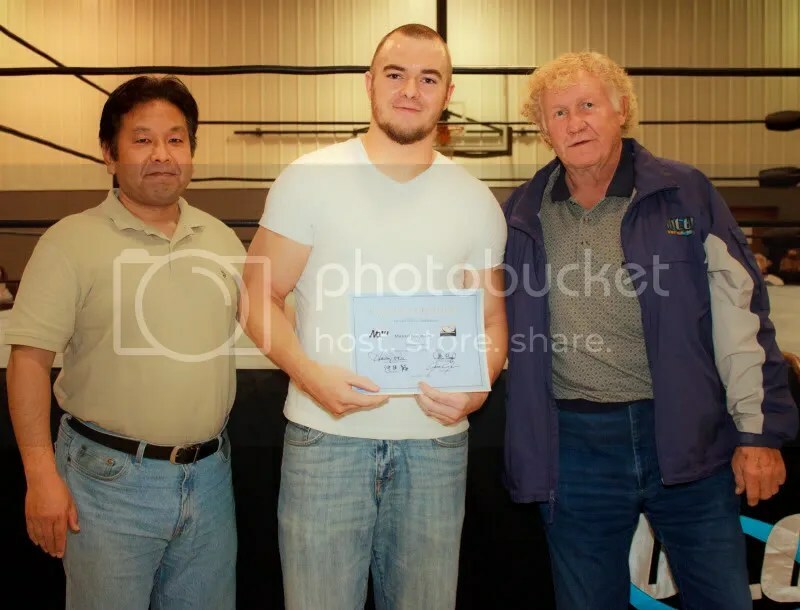 MORISHIMA was set to call it a week as he was heading out, while WWE Superstar Steve Regal was set to come in the next day for a fresh set of eyes and views for these young students. 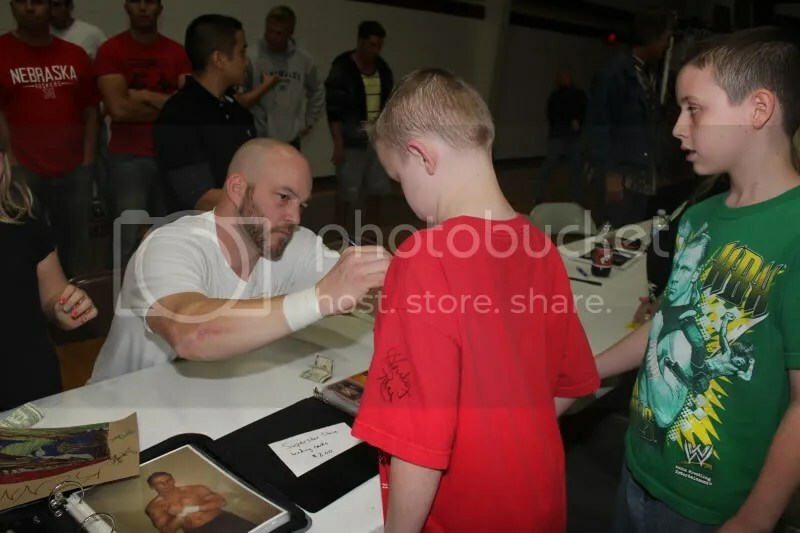 I had caught up with a few of the students who were kind enough to give me their take on the experience of a WLW/NOAH/WWE camp and here were just a few testimonies from the students themselves. 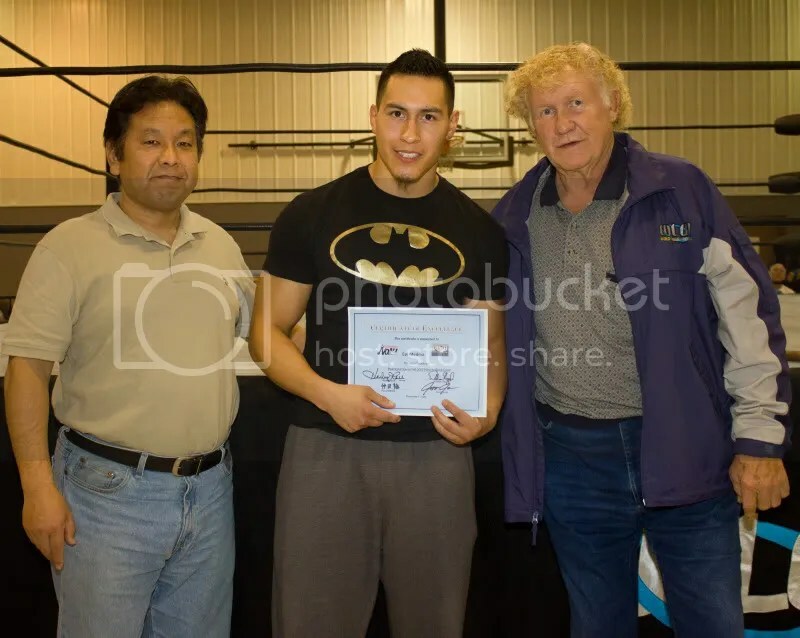 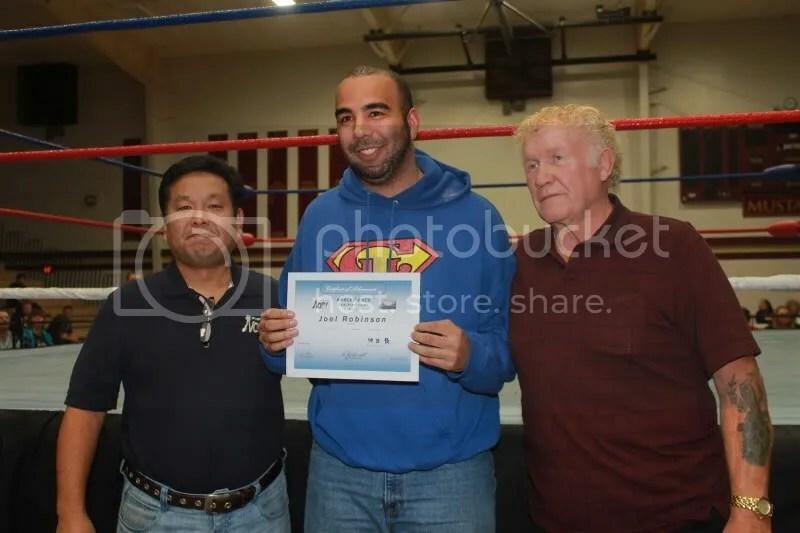 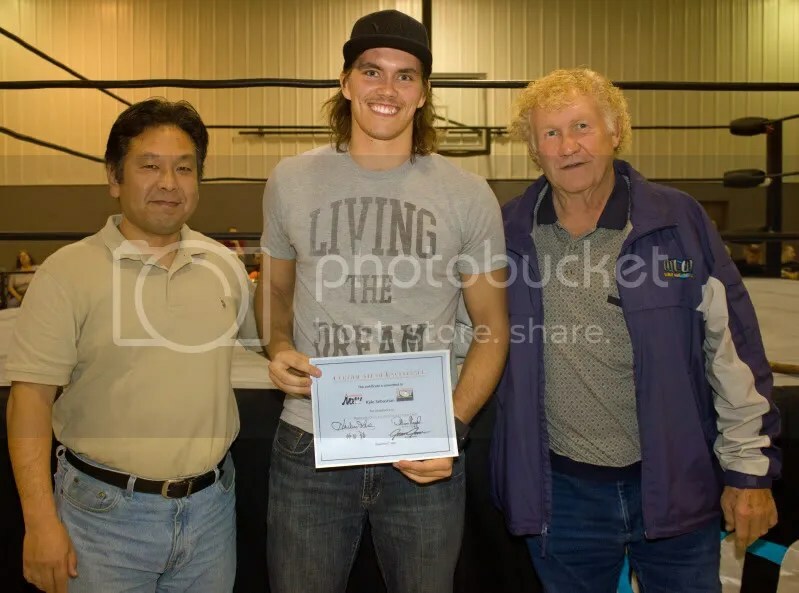 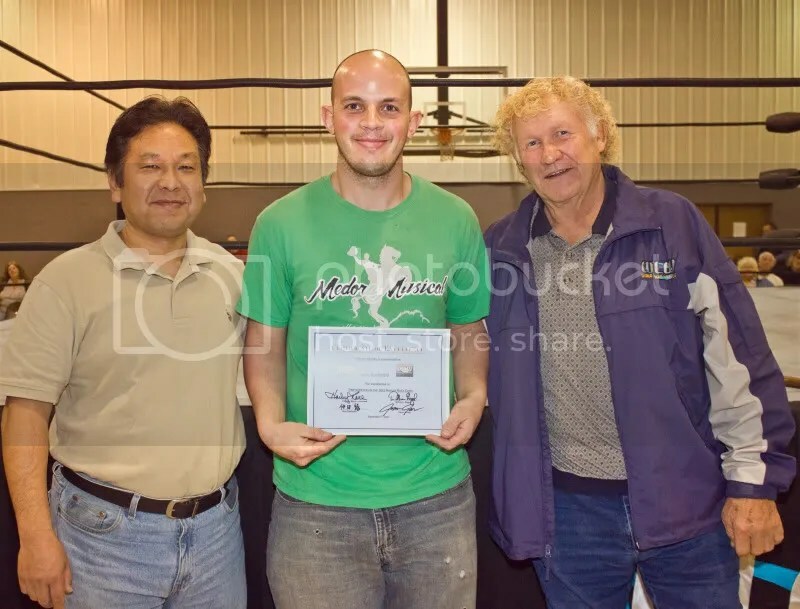 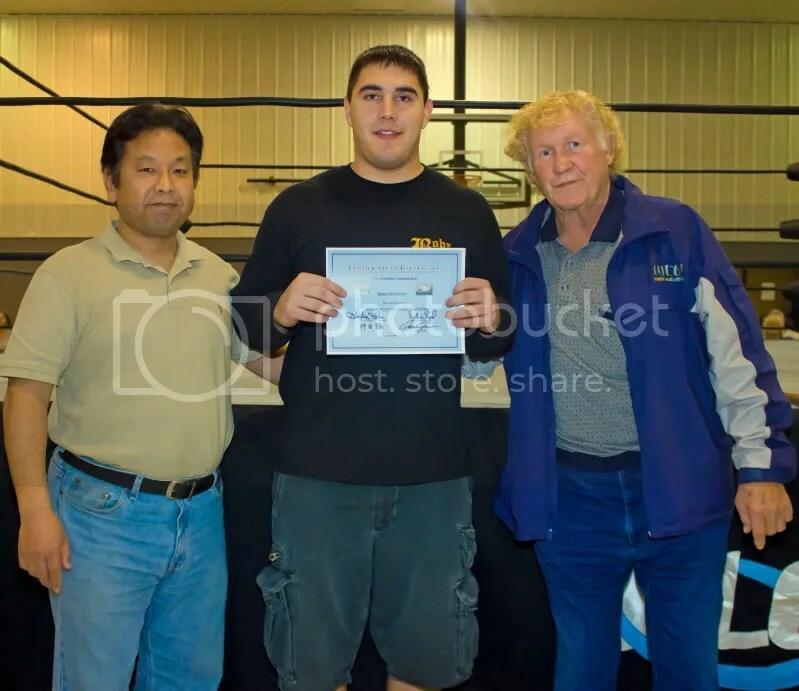 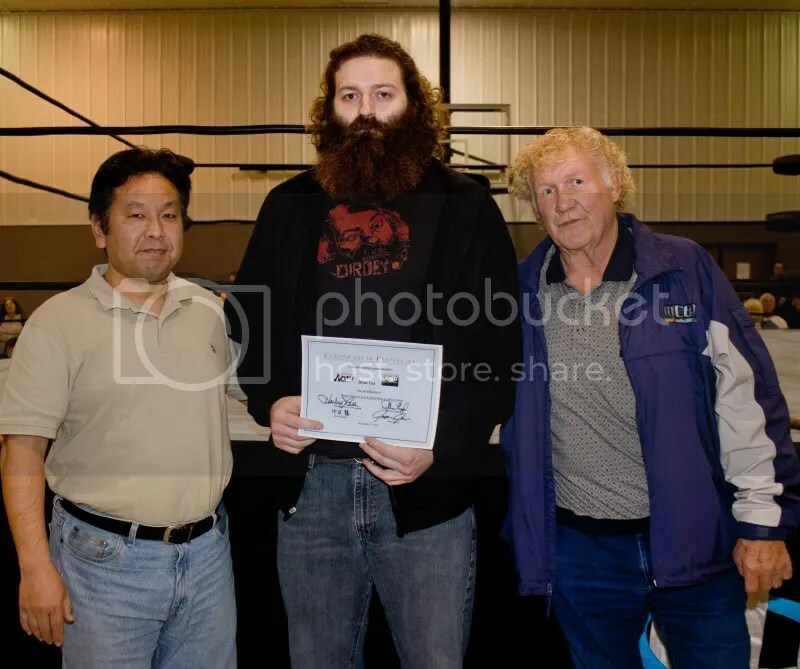 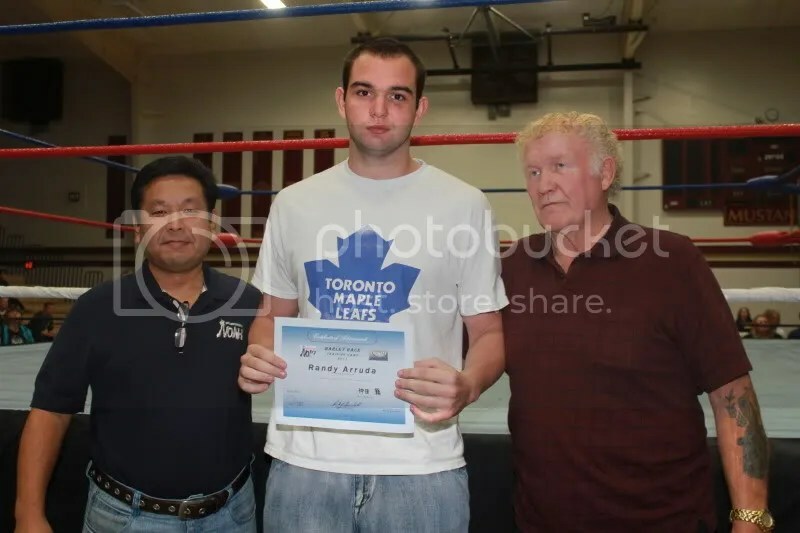 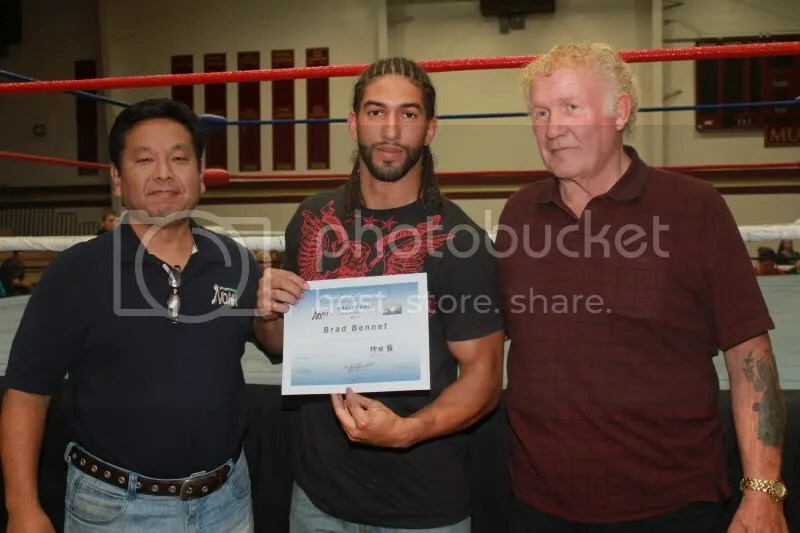 Now let me share with you some awesome photos of the day of training as well as the 2012 WLW/NOAH/WWE graduates receiving their certificates at the camp show at the end of the week. 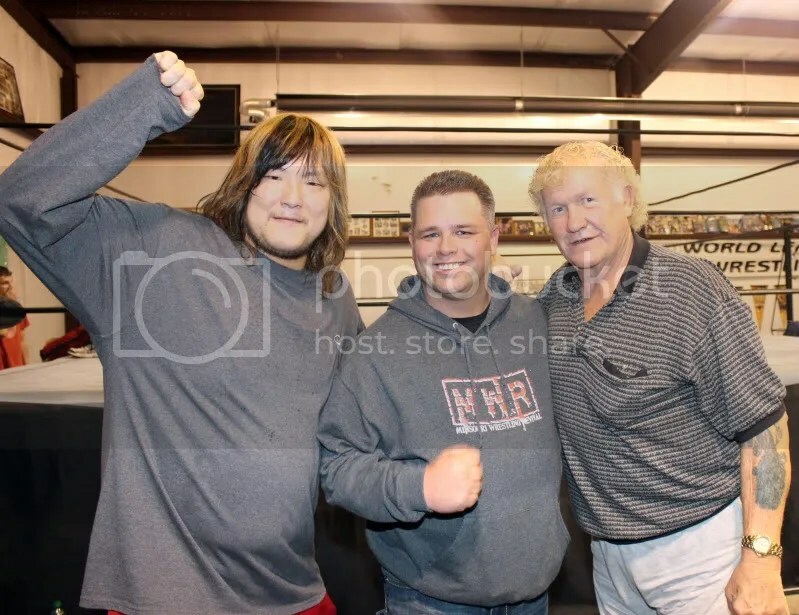 Takeshi MORISHIMA , MWR owner Brian Kelley anf former 8-time Worlds Champion Harley Race pose for a photo. 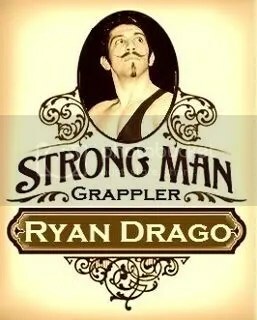 An intimate portrait of strongman and wrestler, Ryan Drago..
Steve Anthony fought Jason Jones to a time-limit draw.